*Ground Control Radon is not currently taking on new clients. Sorry for any inconvenience. 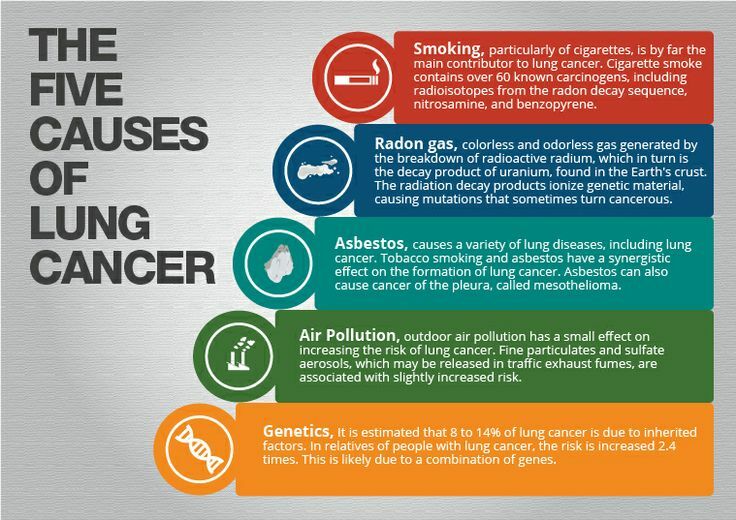 Radon gas is the second leading cause of lung cancer in North America. Health Canada Recommends that all houses be tested for Radon. Levels in the Kootenay area have been found to be particularly high. 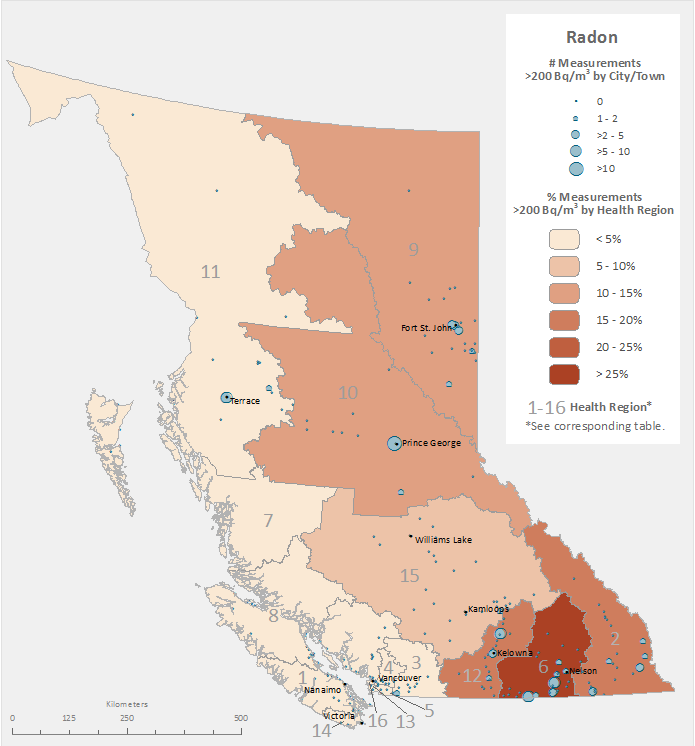 Ground Control Radon Solutions provides safe, effective and affordable Radon abatement services to the Kootenay area. Test your home today! 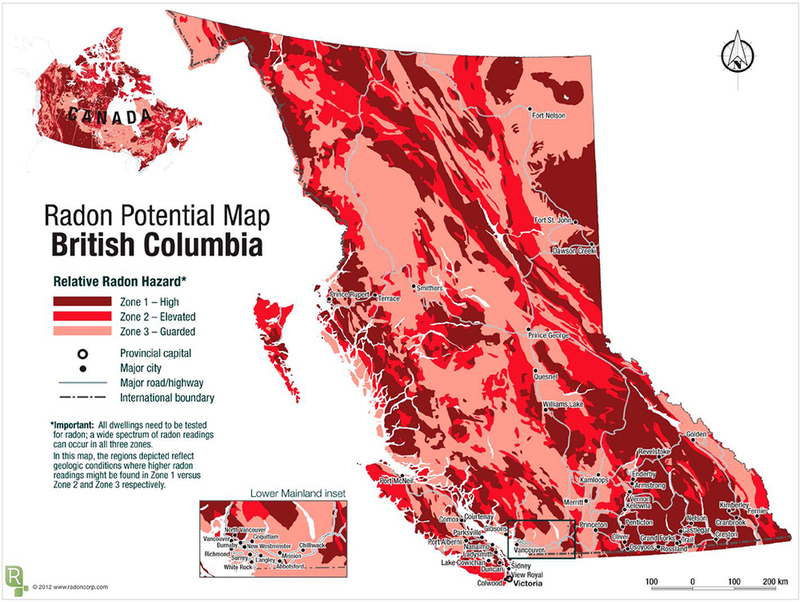 Radon is a colourless and odourless gas that is common throughout North America. It results from the radioactive decay of Uranium. 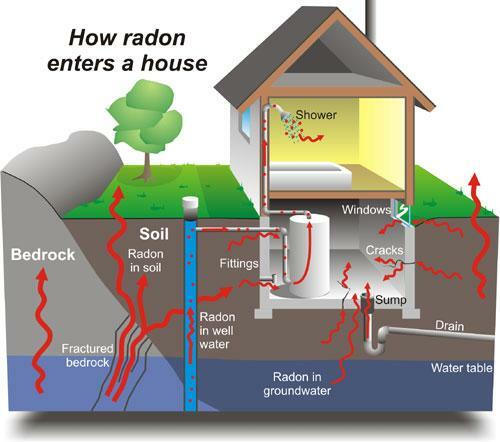 Radon comes up through the soil and can concentrate in homes and buildings. While increasing ventilation can help reduce harmful radon concentrations, the associated energy penalty is often too much, especially in winter months. 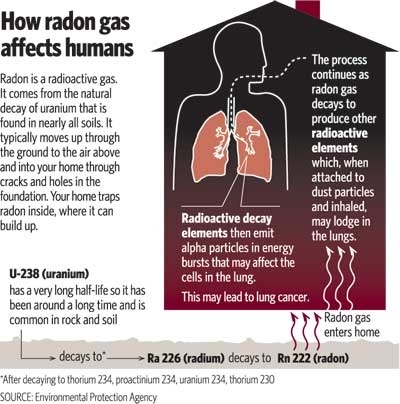 This is why we generally install specially designed radon reduction systems in houses with high radon levels.